I was saddened and more than a little miffed to learn of the destructive antics by animal rights activists at the Iowa State Fair. According to the Des Moines Register, vandals from the Iowans for Animal Liberation dowsed the state fair’s butter cow with red paint symbolizing blood, and wrote “Freedom for All” on the glass display window. The group claimed responsibility in an email to the Register, saying they hid in the building until it closed, then used a screwdriver to break the lock on the refrigerated display case. “The paint represents the blood of 11 billion animals murdered each year in slaughterhouses, egg farms and dairies,” the email stated. Hopefully, exterior security videos will lead to the identification and arrest of these scumbags (sorry, not sorry). Vlasak, the article notes, compared the actions to that of Nelson Mandela or U.S. civil rights activists in the 1950s and 1960s. 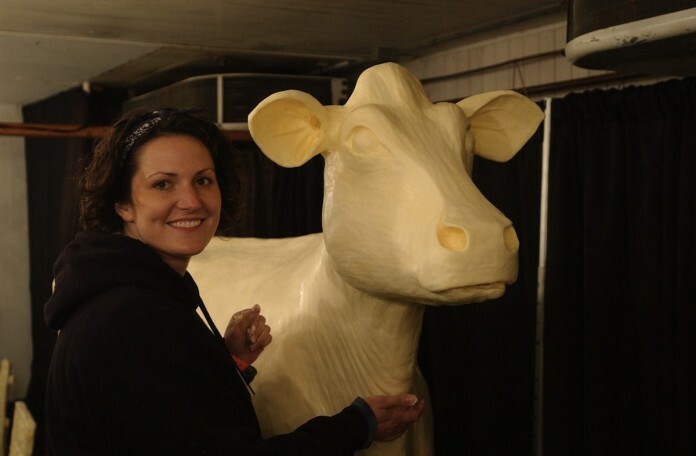 Sarah Pratt, who sculpted the butter display, responded to a 4 a.m. call for help, and had the butter cow ready to greet state fair visitors by the time the building opened at 9 a.m., the Register reported. Bravo, Sarah! In fact, the public wouldn’t have even known about the incident until the perpetrators started emailing the media to spotlight their actions (which is the whole purpose behind this type of PeTA-like, publicity-seeking stunt). You know, it’s one thing to stand up and fight for something you believe in, but it’s another to resort to vandalism and destruction of property, particularly a person’s art, to get your point across. It was a despicable act, and one that I hope works to discredit their underlying purpose, and achieve an opposite result. 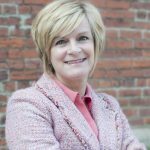 It’s important for us in agriculture, however, to realize that these extreme animal rights activists view generally accepted farm practices as immoral and unethical. Period. They believe that existing farm animal care and welfare is simply wrong, and amounts to unacceptable animal cruelty. “Dairy cows are treated horribly their whole lives,” wrote one of the online commenters. “… the way we treat food animals is unacceptable violence in most cases,” wrote another. They are a minority, folks, but a vocal one, nonetheless. The good thing is that many other online commenters decried the actions, including some who identified themselves as vegetarians or vegans. And hopefully, it opened the door for more thoughtful conversations about on-farm realities and animal care.